Choosing right coffee machine can turn your regular coffee into one with café quality coffee. After getting right mixture of the amount of coffee and water to the maker you will be assured of café quality coffee every day. The latest types of coffee maker come with a timer. It can make up your steaming cup of coffee ready as you wake up. You just have to fill the ground coffee powder and the necessary water and just set the timer for morning. There are exactly hundreds of coffee makers to choose from. Automatic drip, vacuum pots, espresso and cappuccino makers are the various types available. It’s important for you to look for the best coffee maker and compare prices. Programmable coffeemaker can be set to deliver fresh-brewed coffee whenever you want. Make sure that the coffee maker suits your need. If you want a bed coffee then you have to go for a coffee maker with programmable clock and timer and an automatic shut off. These facilities help us to set the programming at night and get the hot delicious coffee in the early morning. Get the coffee maker according to the size of your family. You may have 6 members in your family. Get the coffee maker that brews coffee for 6-8 members in order to avoid wastage. If you buy a coffee maker that prepares coffee for 12 members then that is a waste of the coffee. Thes12 cups coffee makers are appropriate for large get-togethers as they can brew more fresh coffee within minutes. If you are the only person who consumes coffee then you can also get single cup coffee makers that are available in the market. Many coffee makers come with facility of pause and serve, It helps to stop the brewing for a while and serve the coffee from it. Some coffee machines come with a built in grinder which is ideal for people who use coffee beans. Whereas a coffee brewer would be the right for many who use ground coffee to make their cup of coffee. 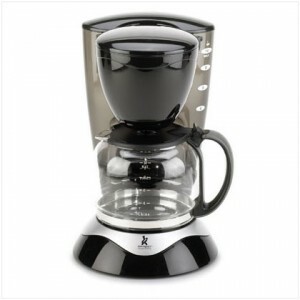 There are varieties of coffee maker available in the market to suit your needs at affordable price. Make use of online to get the best coffee maker at a hot deal.